The Brown House, Salt Cay. 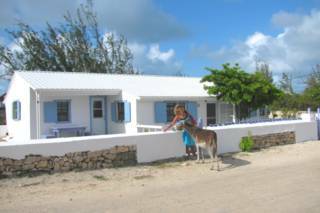 The only accommodations on the tiny island of Salt Cay are rental villas. These options are typically furnished with functional kitchens. Cleaning/maid service is generally not included, or may only be offered once per week. There are no full-service hotels or resorts. Many of the villas offer additional amenities, such as breakfast and complimentary use of bicycles, kayaks and snorkel gear. Several of the accommodations are located on the beach, but not all of them. However, due to the small size of the island, the beach is within walking no matter where you are located. Complimentary airport pickup is almost always included. Salt Cay is a beautiful little island, and every district offers its own charm. There’s no unpleasant area, and the beach is never a far walk off. If you’ve reserved a golf cart for transport during your stay, getting to anywhere on the island is quick and easy. North Bay is the undisputed best beach on Salt Cay, and features pristine sand, clear water and snorkelling reefs. Although only minutes from the town, this location offers the greatest seclusion. The Balfour Town and North District regions are within easy access of many of the island’s services, restaurants, Deane's Dock, and the airport. Dive and snorkel boat excursions depart from this area. South District is home to most of the island’s residents, and is separated from Balfour Town by the Town Salinas and the mile (1.6km) long waterfront Victoria Street. This neighbourhood is a great choice for birdwatchers as its adjacent to the wetlands of South Creek. To book (and typically get the best rates), simply contact the villa manager via email or telephone. They will usually ask for a deposit (up to 25%) before arrival and the balance on arrival. Local dive companies offer vacation packages which include accommodation and dive trips. If you're interested in diving, consider inquiring first at one of the local dive companies to see the deals they offer. Keep in mind that some of the villas may simply be a room in a house, whereas others are full-fledged stand-alone buildings. A government-imposed 12% accommodation tax is applicable on top of all rates. Clarify if this is included in the rate. Four fully equipped one bedroom suites. Located on the secluded North Beach. Duplex offers two bedrooms, one bath kitchen, living room and porch area. Located across the street from the ocean with excellent views. 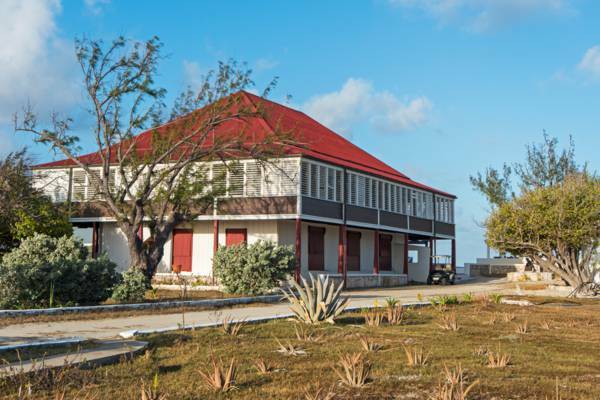 The Half Way House in Salt Cay, is centrally located in Balfour Town. Newly restored, with great attention to quality and detail. Spectacular ocean views to the west and calming salina views to the east, sultry ocean trade winds blow freely through the house, which abounds with comfortable seating areas both inside and out. The house and grounds are private and spacious. Renovated stone cottage, with high ceilings, everything you need for your temporary island home. Sleeps 4-6. 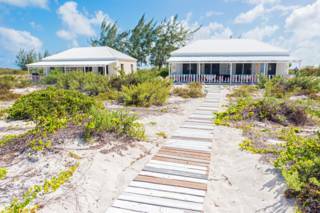 Located in central Balfour Town and not far from Deane’s Dock, the oceanfront Villas of Salt Cay offers both the main two bedroom villa and single room cabanas. Amenities include a pool and Wi-Fi. Located in Balfour Town, this small cottage has two bedrooms and is equipped with a full kitchen and clothes washer.